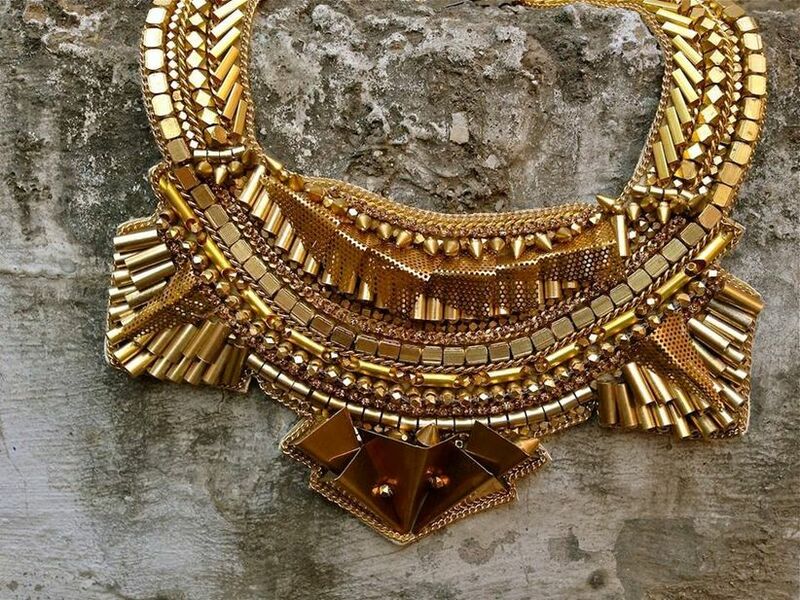 6 Shahpur Jat Delhi Jewellery Stores You Must Visit Before Your Big Fat Indian Wedding | Wedding Tips ARE YOU A VENDOR? Restricted to Chandni Chowk, Karol Bagh and West Delhi for your bridal jewellery and accessory needs? Here's another reason why you must visit Shahpur Jat Delhi while on a wedding shopping spree. 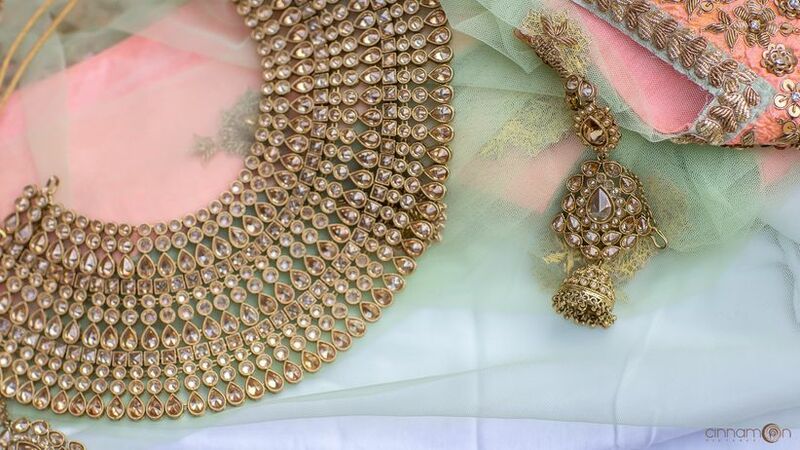 Losing sleep over where to find the Bridal Jewellery that would do perfect justice to your gorgeous Bridal Lehenga? It’s quite natural. Here is a piece of great news for all the brides (and grooms too) to be...Shahpur Jat Delhi is THE place to be! The quaint little locality in South Delhi is also lovingly known as the baby cousin of Hauz Khas Village. The narrow streets have transformed over the years into a hub for fashion boutiques and designer stores, which serve not just chic clients but all brides-to-be on all budgets. 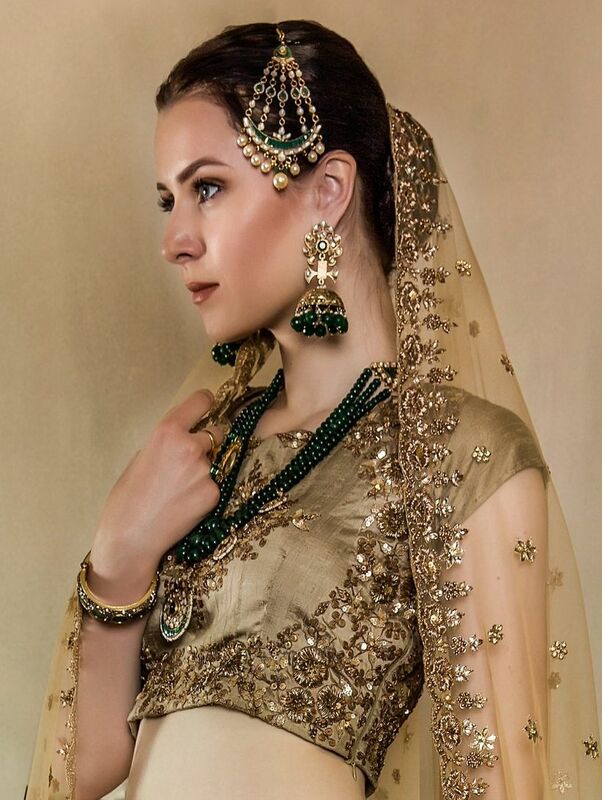 While we have earlier explored the concept of wedding shopping in Shahpur Jat, with an array of designer stores, we now explore the next set of bridal needs - Bridal jewellery, including accessories which are available for grooms. Give this article a good look and start visiting these boutiques to put an end to your bridal jewellery hunt. Established in 2012, Suhana Art and Jewels at Shahpur Jat Delhi offers an attractive collection of bridal jewellery at affordable prices. 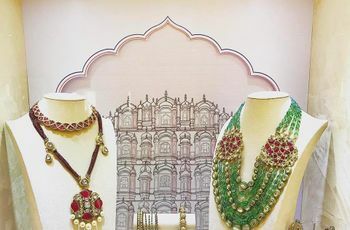 From real gold bridal jewellery to artificial designer jewellery in Pollki, Kundan and silver designers, the jewellery house has something for every bride. 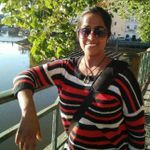 The owner, Ritika, specialises in customised jewellery as per the client’s requirements. So if you have a signature style and want your bridal jewellery to look absolutely exclusive, this is where you’ll find it. 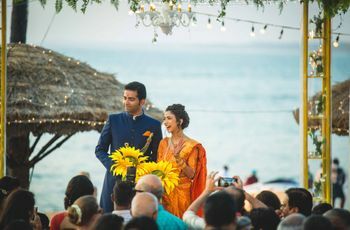 If you’re looking for a regal look for your Nizami wedding, then Jewellery by Preeti Mohan is exactly where you must go. The store specialises in sparkling pieces, embellished with pearls and precious. Complete your bridal look by their gorgeously designed pearl necklaces and earrings. Grooms can go for rings with precious stones or pearl garlands to get a Nawabi look. Apart from regional and classic jewellery, Preeti Mohan also designs contemporary and designer pieces of jewellery. Artistic, conceptual and revolutionary - these words truly define the kind of jewellery you will find here. The out-of-the-box statement of Nimai Jewellery has made the store one of the most sought-after bridal jewellery shops in Shahpur Jat Delhi. Jewellery made of clay, wood, paper, nuts and bolts; each piece is a work of art. Brides who don’t want to restrict themselves to norms and intend to redefine bridal beauty - this is the store for you! 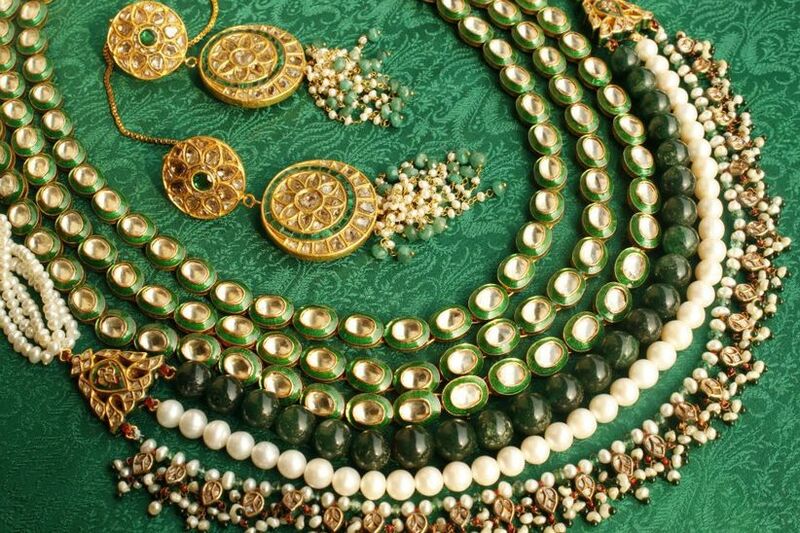 Soranam has a vast collection of jewellery of every design and style. And the best part is the price range is quite attractive. Traditional, Victorian, contemporary or custom-made- just tell the designers what you’re looking for, and they will give you exactly what’s best for you. Necklaces, earrings, Mathhapatti, Bangles, hair accessories- Sonaram by Sonia Malhotra could be your to-go bridal jewellery stop. Vaitaanika jewellery design store is for those who are looking for unique jewellery with edgy designs. A myriad range of jewellery items, Vaitaanika prides itself to their never repeated exclusive designs on real jewellery. No wonder this has been one of the most popular jewellery shops in Shahpur Jat Delhi. 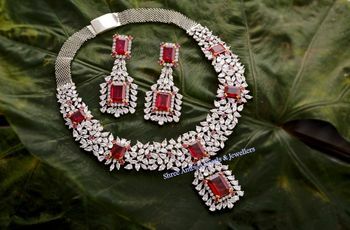 Flaunt your one-of-a-kind jewellery on your Cocktail or reception night with Vaitaanika designs. 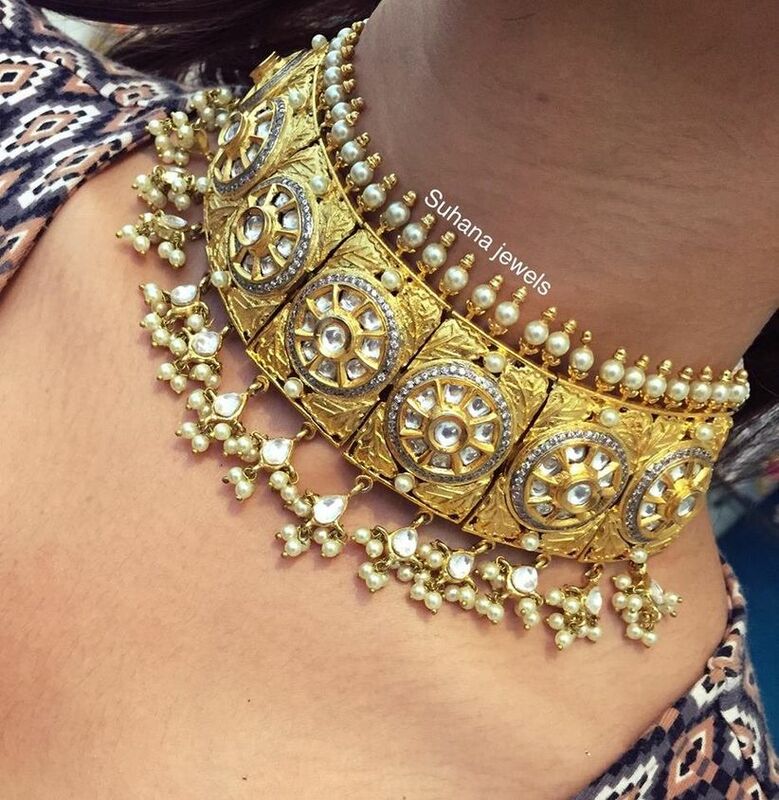 The designs are exquisite and feature a range of precise and intricate jewellery pieces which will astound you. Beautiful, over-the-top bridal ornaments with intricate designs or contemporary designs for Engagement - this is one destination at Shahpur Jat Delhi for all your wedding occasions. 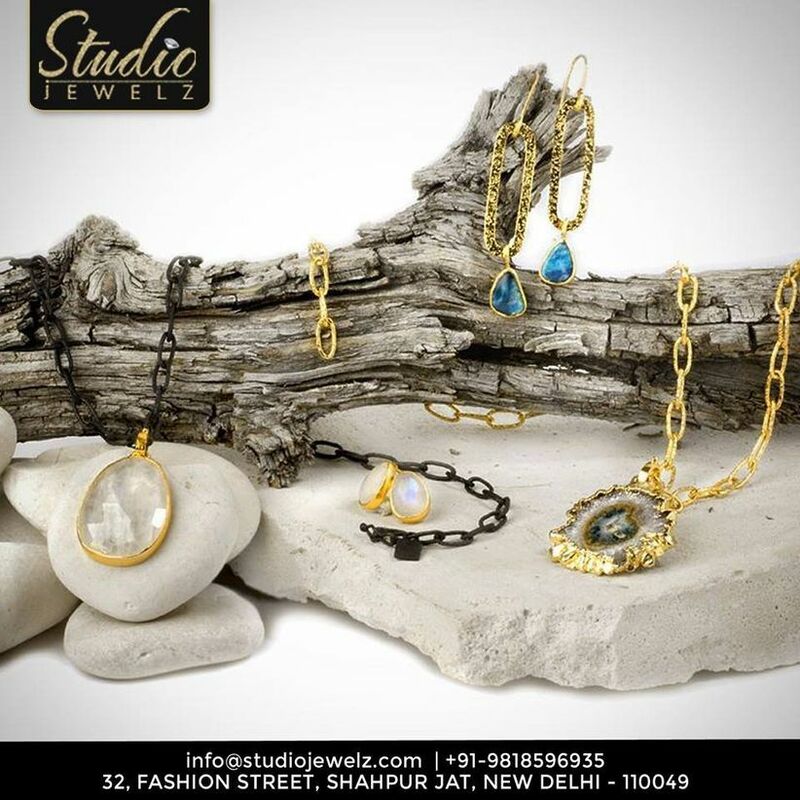 Real jewellery or artificial, Studio Jewelz has an elegant collection of all kinds of jewellery. We cannot get over the blue stone pendant and how stunning it looks. The best part about owning a pair of pendant like this one is that you can wear it on various occasions. Don't you just love the sparkling hues of red, green, gold and silver all around you? 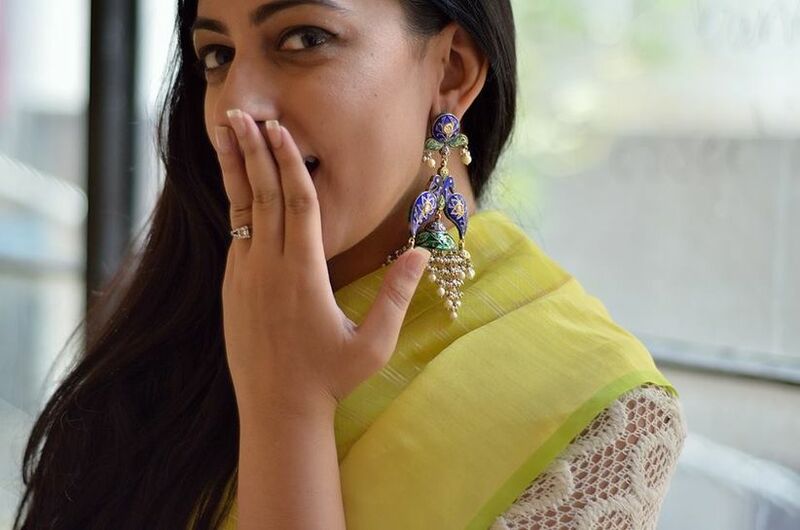 If you're looking for a suave jewellery design which is different from the quintessential jewellery sets that were making the rounds in the market then we hope you found some stunning statement pieces that made the cut! These jewellery pieces are anything but boring and will add the right amount of bling to even the most mundane outfits. 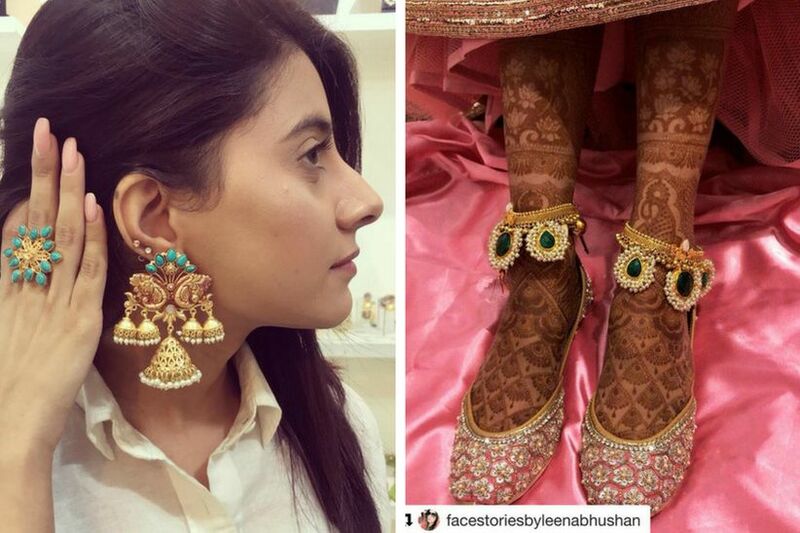 These 6 bridal jewellery stores will end your strenuous spree of running from one shop to the next. So, regroup and pay them a visit at the earliest to design your dream wedding jewellery. To find the perfect matching jewellery to your bridal Lehenga is the ultimate fantasy of every bride. And now you know where to start! All you’ve got to do is pick a bright beautiful day, grab your sunglasses, bags and just start shopping! You will be surprised to find artistic touch at every little nook of Shahpur Jat Delhi. Take your sisters and bridesmaids too for a fun wedding shopping this season! You think you need something interesting for yourself? 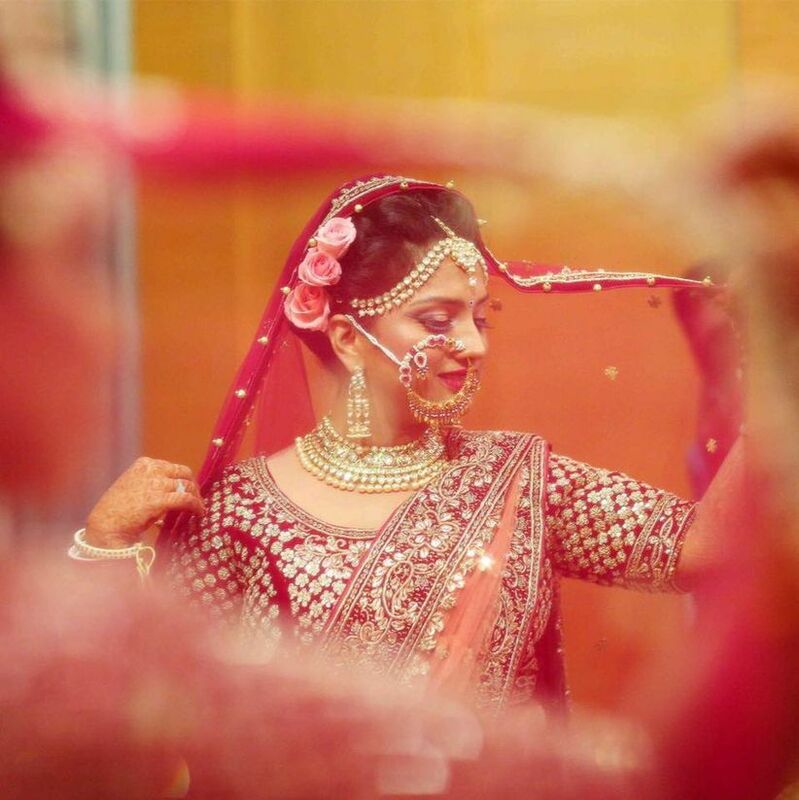 Just rush to Shahpur Jat Delhi right now to find the perfect match for your Bridal Lehenga.